The Mathematics section, which has been highly sought after for a number of years for their strong professional development programs, worked with teachers this year at Blanche Pope and Lanakila elementary schools, among others. Pihana Na Mamo, a Native Hawaiian education program, continued its work on literacy and school support for Native Hawaiian students in schools on all the islands. International collaboration continued this year with the director’s visit to Russia, CRDG’s Science section conducting teacher training in China and Ethiopia, the hosting in CRDG’s Program Research and Evaluation section of Colombian Fullbright Scholar Zayda Sierra, and the annual visit of students from our three sister schools in Japan. Historian John Hope Franklin, James B. Duke Professor Emeritus of History at Duke University and best known for his book “From Slavery to Freedom: A History of African-Americans,” visited the Laborotry School while he was inHawai‘i as the first Dan and Maggie Inouye Distinguished Chair in Democratic Ideals at the University of Hawai‘i at Manoa. 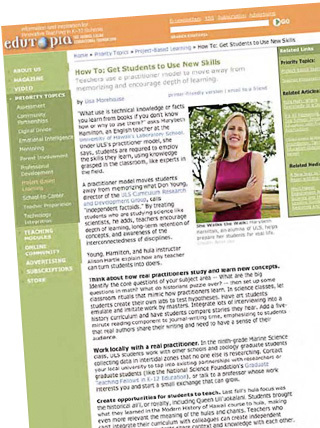 Seventh-grade English teacher Marybeth Hamilton and ULS came under the national spotlight with an article published in Edutopia Magazine and on the Edutopia Web site. 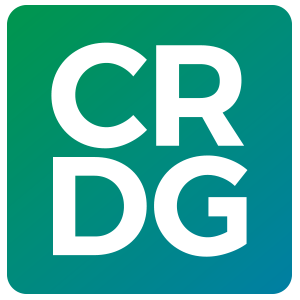 In the article, Hamilton talked about CRDG’s practitioner model of teaching that “turns students into doers,” outlining a list of strategies she, and other ULS teachers, use everyday in their classrooms.